Disney's Coronado Springs Resort is a moderate Walt Disney World hotel between Epcot and Disney's Hollywood Studios theme parks and Disney's Blizzard Beach water park. The resort is just beautiful, taking its architectural cues from the Spanish influences in the American Southwest and northern Mexico. It is a "stand-alone" resort, meaning that it isn't clustered adjacent to any other Disney hotels. 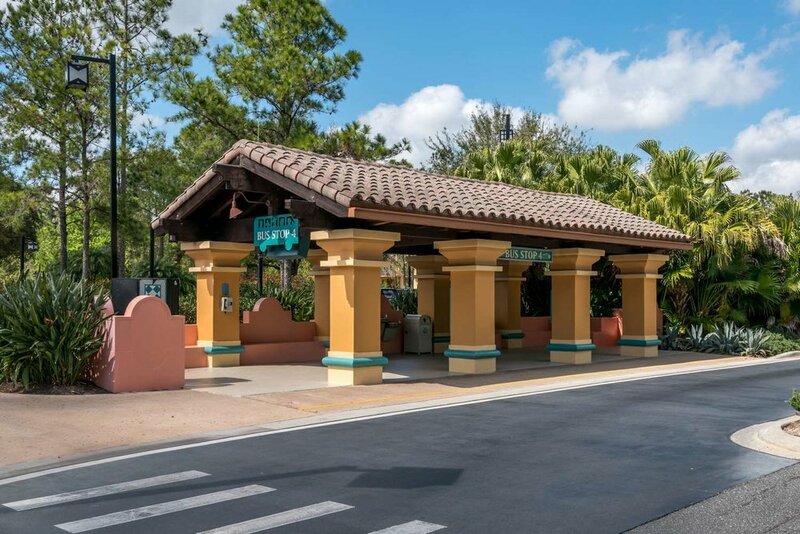 Disney's Coronado Springs Resort is a convention center hotel which provides some extra amenities to this resort like an on-site fitness center and expanded lounge and food court areas. While still being colorful and well themed, this particular hotel has a little more adult feel to it, though it is still very kid-friendly. The "Dig Site" pool and recreation area has a five-story Mayan pyramid and play area themed like an archaeological dig. There are exciting changes coming to Disney's Coronado Springs resort through 2017 and 2018. This expansion will include a new 15-story tower that will add 500 rooms, featuring suites and concierge level services. The resort will also refurbish its current resort rooms and transform its landscape with floating gardens and an island oasis that connects the resort through a series of bridges. The new tower overlooking the central lake, Lago Dorado, will provide rooftop dining with panoramic views of popular nighttime fireworks from the nearby Disney theme parks. Construction areas are fenced off and work doesn't start until 9:00 am and shuts down at dusk. Here at Build a Better Mouse Trip, we will be following construction progress to keep our clients informed and update preferences as necessary. Advantages - Very comfortable, lush setting with a neat pool and beautiful landscaping. Queen beds are a step up from the double-beds found at the value resorts. The food court has more variety than any other Disney hotel food court. Adult and kid friendly amenities. Disadvantages - The food court can be very busy at peak times when there is a convention on-site. The resort is beautiful with a lovely 15-acre lake in the center but it is also quite large which can mean extra walking - not always something you want when you're carrying a tired little one. Self-parking and valet parking available for a daily fee. Siesta Pool Bar - Specialty drinks, beer, sodas, etc. Pepper Market - buffet style, quick service restaurant. Maya Grill - sit-down restaurant with a wood-fired grill. Serves breakfast & Dinner. Las Ventanas: A small table service restaurant next to Rix Lounge that serves breakfast and lunch. Rix Lounge - 300-seat lounge with specialty drinks and appetizers. Small dance floor and live DJ certain nights of the week. In-Room Dining - Light "room service" with continental breakfast, sandwiches, pizza and snacks. 1,917 rooms and suites situated in three "villages"
Most rooms are 314 square feet. Standard View - the most economical choice. Important note: the suites at this resort are usually excluded from discounts and promotional offers. Guests may use Disney's Magical Express - a shuttle bus service included in your reservation - between the Orlando International Airport and Disney's Coronado Springs Resort. 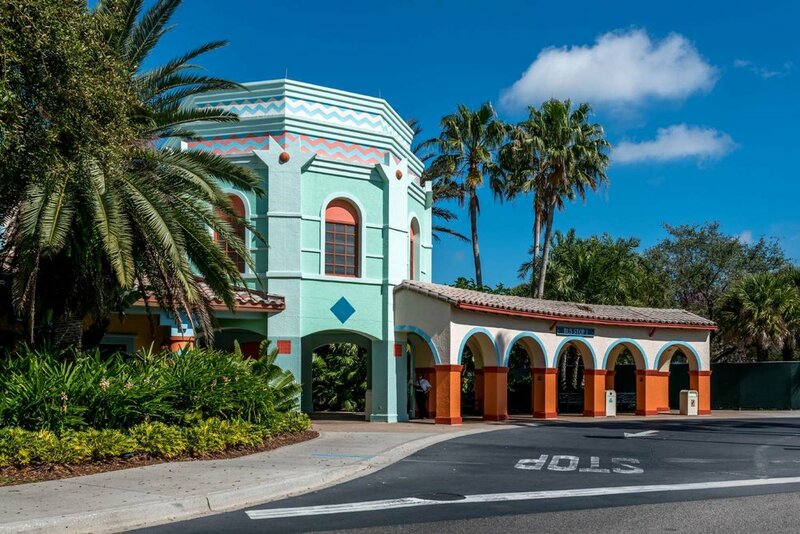 Disney buses are available to take Coronado Springs resort guests to the Disney theme parks, Typhoon Lagoon & Blizzard Beach Water Parks, and Disney Springs (formerly called Downtown Disney). Disney's Coronado Springs Resort is a great choice for guests who prefer a hotel that is a little more subtle in its Disney theming. This is a comfortable choice for adults, and is a favorite of our own teen and young adult children. The pool area is very nice and the resort offers some nice services. 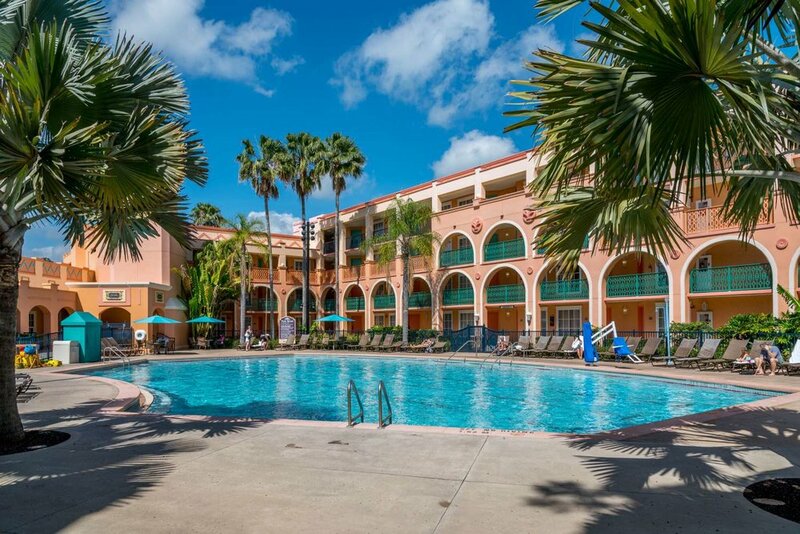 The resort is very large and it may be worthwhile to upgrade to the preferred location rooms, especially if you have young children or someone with mobility issues. For a long time, this was the only Disney World moderate resort with queen beds but now all of the moderate resorts offer queen beds.